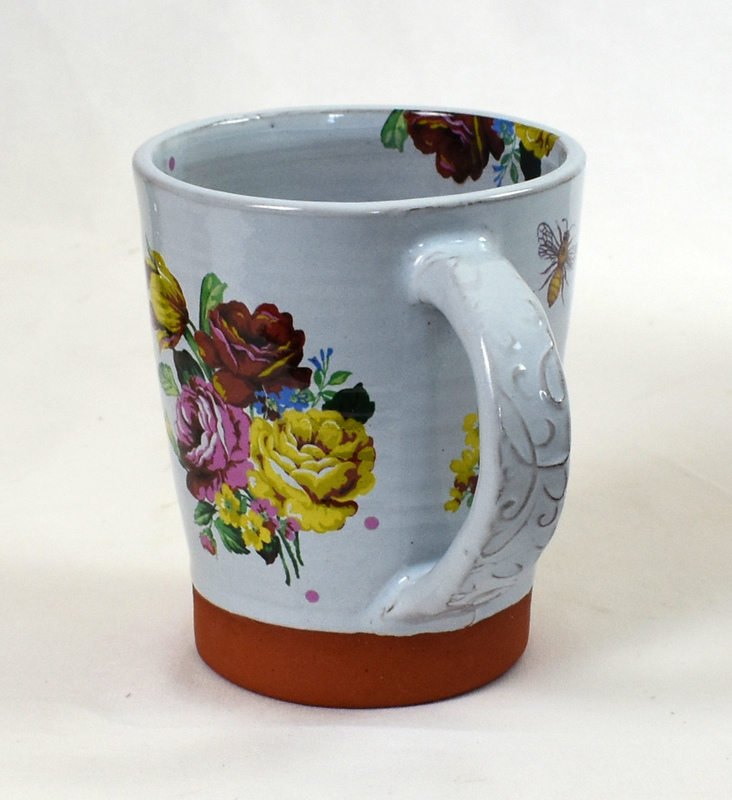 This is a handmade blue terracotta mug. 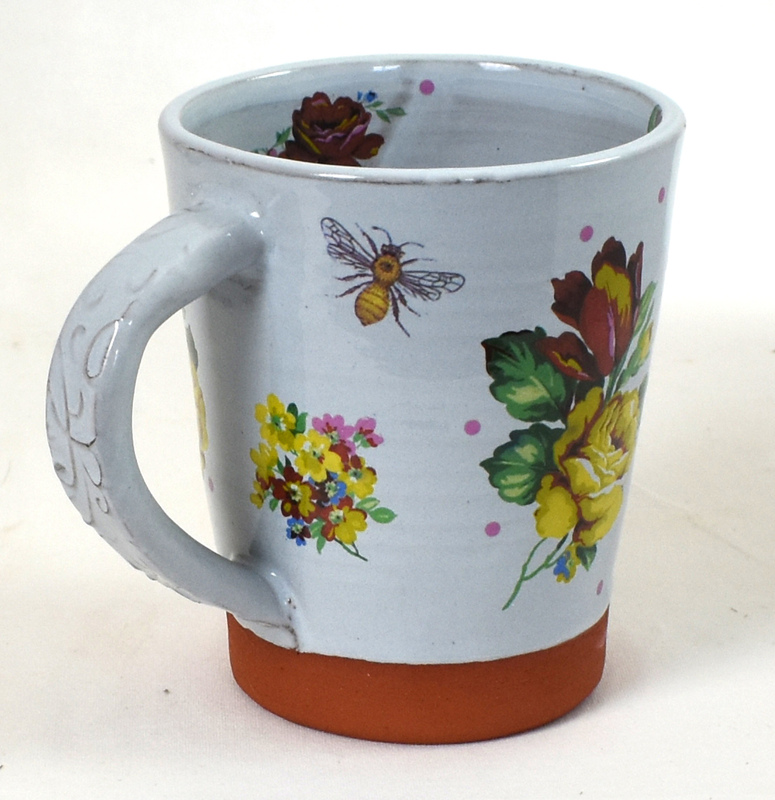 It has a lovely design with vintage style roses, a butterfly, and a bee. It has a nostalgic feel but a modern and practical shape. 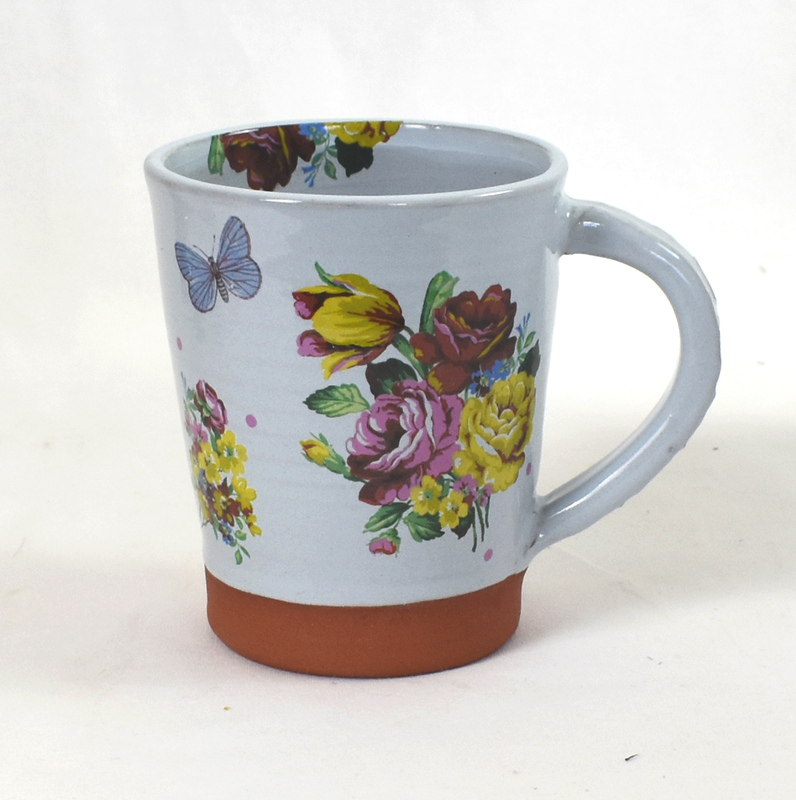 It would be perfect for a special birthday or mother’s day gift. It would appeal to someone who loves the country farmhouse look. This is a unique design and will not be exactly repeated.